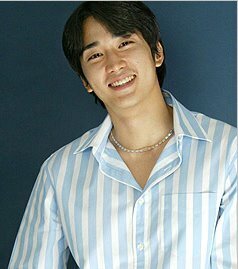 Seoul hotels and airlines are on high alert ahead of an Asia fan meeting with Song Seung-heon, who will be discharged from the military on Nov. 15. A staggering 9,000 fans from nine Asian countries will descend on Korea to see Song after he ends his 24-month stint in the service. Upon release, Song will meet his admirers at the Olympic Gymnastics Arena in Seoul on Nov. 18 and 19. Those lucky enough to secure tickets are expected to visit Korea the instant he is discharged to see him as early as they can. The majority will come from Japan. The 9,000 were picked from among some 150,000 applicants: a success on an astronomical scale for the heartthrob. This entry was posted in News and tagged Song Seung Heon by doozy. Bookmark the permalink.